Lights, Camera, Hairspray, lipstick…it’s time for these models to work it for the cameras. 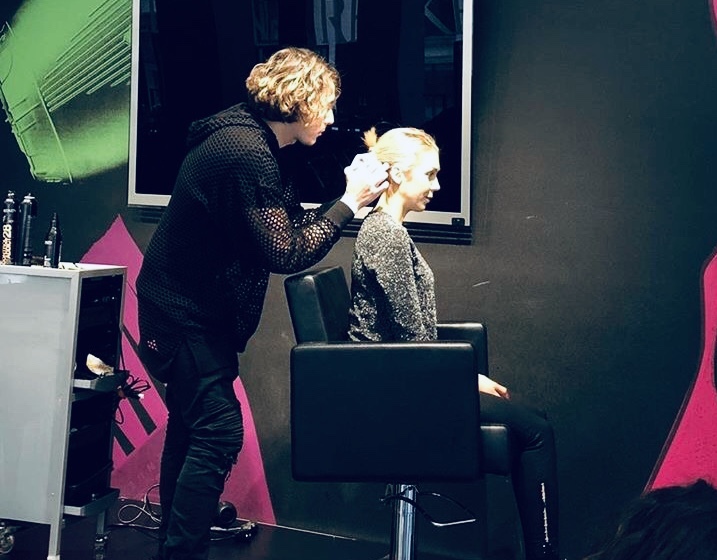 Photo Finish was a rousing success once again as hairstylists from around the world (This time we had attendees from Dubai and Australia) for a three day, hands on, Immersive experience executing their very own photoshoots. Noah Hatton and I once again reconvened at The Redken Exchange in Manhattan. This time joined by fellow Redken artist, Lindsey Olson. Our program is 90% hands on experience. Attendees have theory highlighting contemporary and past photographers, along with each facilitator presenting a portfolio of their work to fuel inspiration . By Day three we were joined by New York Photographer, Joseph Rivera and make up artists Xinxin Chang and Samantha Martinez. 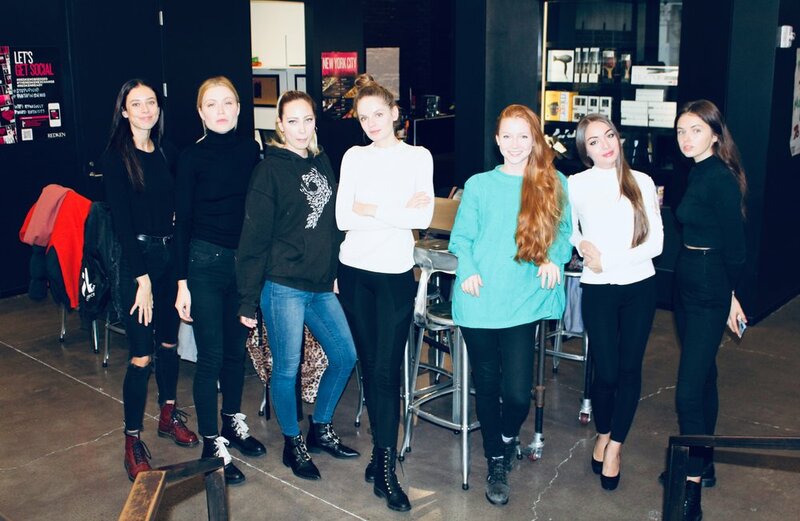 Attendees work on both mannequins and real models for Alicja Models Agency in NYC on day 1 and 2. 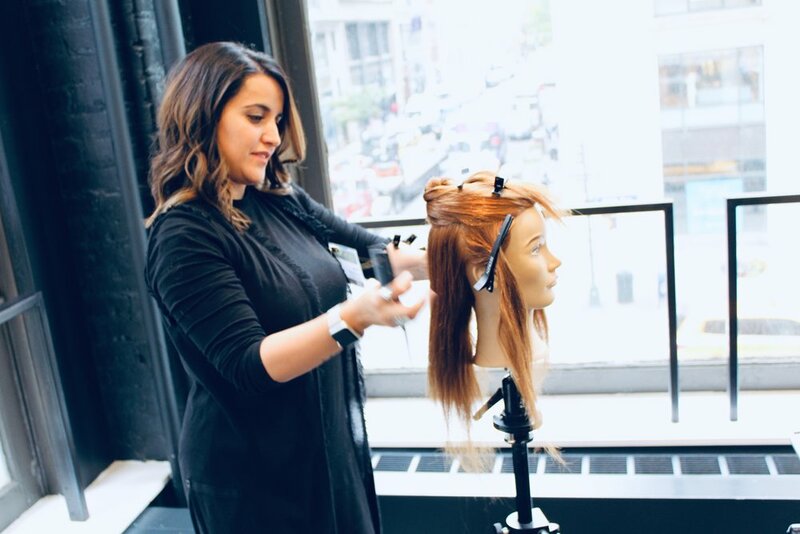 Foundation skills of basic ponytails, French and Italian twist along with marcel iron work are demoed then executed by the attendees. By day 3 attendees will have created a vision/mood board reflecting their “brand” of hair they would want to create during their photoshoots. This allows total creative control but also keeps the photoshoot on point and allows everyone involved has a clear path to the vision set by each attendee. We spent a total about 30 hours packed into three days of exciting, fun, educational photoshoot.